To all these, Chevylle has ready answers. In her husband’s nine-year stint, she says, Laoag City has reaped various recognitions, including the ‘Seal of Good Housekeeping’ from the Department of Interior and Local Government. She argued that “If there was corruption, it would have been known because the ‘seal’ guarantees efficiency and transparency in governance.” She says their house, located at Brgy. Vira in the city’s outskirts, costs only eight million pesos at most while denying other properties Roger asserts they have amassed. While enumerating their various businesses which contribute to their family income, this advertising graduate of Miriam College says she is not materialistic and is content with a simple lifestyle. She proceeds to show a crucifix pendant, a gift from his late father, which she says is her main piece of jewelry. Don’t be deceived, warns Roger, because Chevylle could spin a tail of lies. He laughs at the idea of the couple having businesses and challenges them to present business permits if these were really existing and legitimate. He also urges them to make public their SALN. Roger proudly says that no graft and/or corruption case has ever been filed against him and that while he is being pictured as arrogant and brute, people would always prefer a “slapper” over a “killer,” referring to the 2005 fatal shooting of Laoag City Vice Mayor Jimmy Chua, where Michael was implicated, and the gunning down of City Legal Officer Jose Antonio “Pepoc” Pastor for which a former bodyguard of Michael was recently convicted for murder. Php80-M, says Roger. Just Php8-M and it is smaller in reality, counters Chevylle. 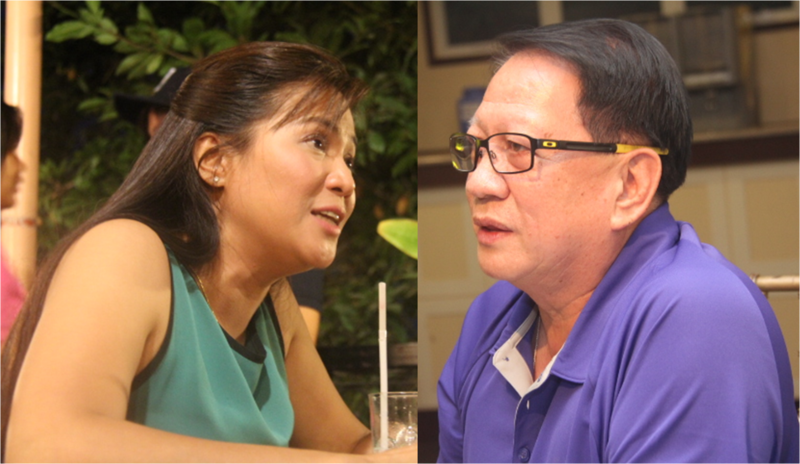 Roger has gone from one barangay to another for his exposés while Chevylle, who has the support of Governor Imee Marcos and around 95 percent of barangay captains as per her estimate, says negative campaigning is not in her book. The mayor’s wife was calm and composed during the interview and welcomed questions never before openly asked like “Is it true that you’re a battered wife?” but sidestepped most queries and gave very safe answers. Roger, on the other hand, was stern, decisive and at times agitated. At one point, he even accused this columnist of being ignorant and one-sided. The biggest gainer in this Fariñas family squabble is former Governor Michael Marcos Keon who is yet to make public appearances and grant media interviews. 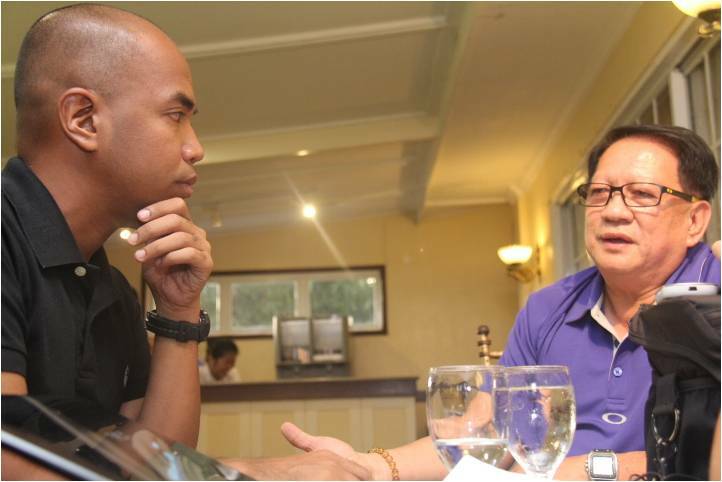 The Ilocos Times tried to arrange an interview with the former governor through his right hand, Willie Boy Agcaoili, but to no good result. Keon’s apparent strategy seems sound: just let Roger and Chevylle both crumble by their own doing, and then woo voters disappointed by the family’s intramurals. While Governor Imee Marcos remains resolute in her endorsement of Chevylle, there is speculation that the rest of the Marcos Family—Senator Bongbong, Congresswoman Imelda, and Ms. Irene—are throwing their support behind Keon whose victory would mark the first time a Marcos gets hold of the Laoag City Hall. 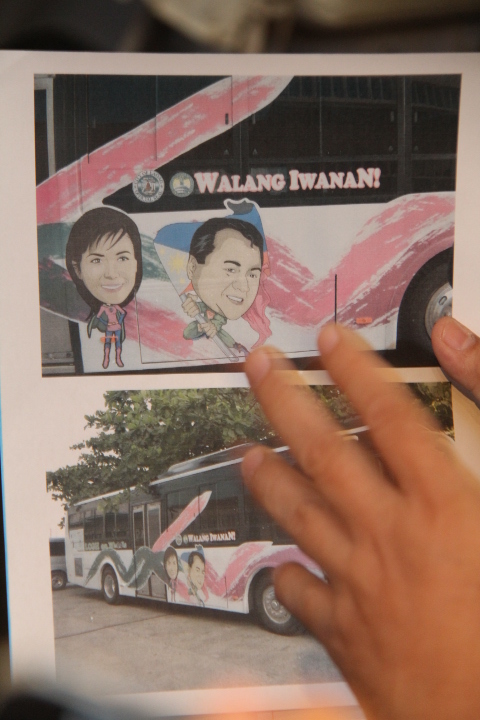 Indeed, there are towns where Imee and Madame Imelda have each endorsed opposing candidates. Let’s see if Laoag City will be one of them. 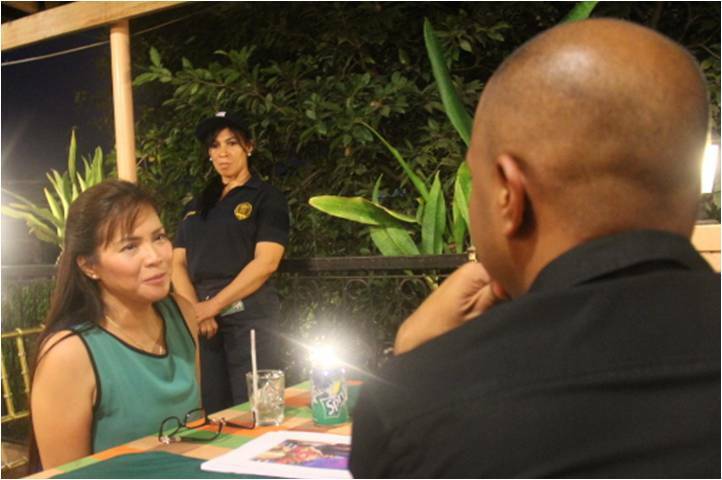 If Keon wins, he is expected to forge alliances with Imee who defeated him for the gubernatorial post in 2010. The latter has surely learned by now that his cousins can bury him to political oblivion without sweat. Exciting days ahead, dear karikna. 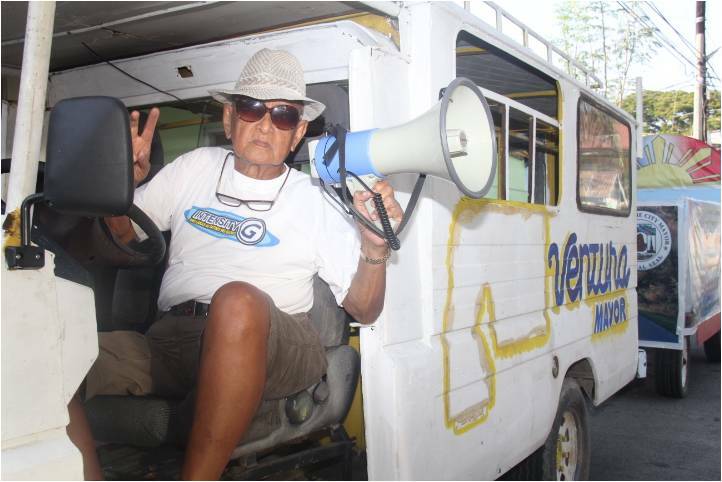 In the interest of fairness, we are including in our coverage former Mayor Cesar A. Ventura, the one and only politician to have defeated a Fariñas for Laoag City’s top post. He beat Eric Fariñas, Rudy and Roger’s younger brother, in 1992. Sadly though, Ventura is now widely regarded as a virtual nuisance candidate. He campaigns by his lonesome, and takes pride in being a one-man team driving a rundown Ford Fiera with trailer while speaking on a microphone. Many people actually pity the guy. A former mayor must be able to retire in dignity and not be reduced to laughingstock status. Some opine that had he ran for city councilor, he might actually have winning chances, but Ventura is not sold to the idea of occupying a post much lower that what he had over two decades back. 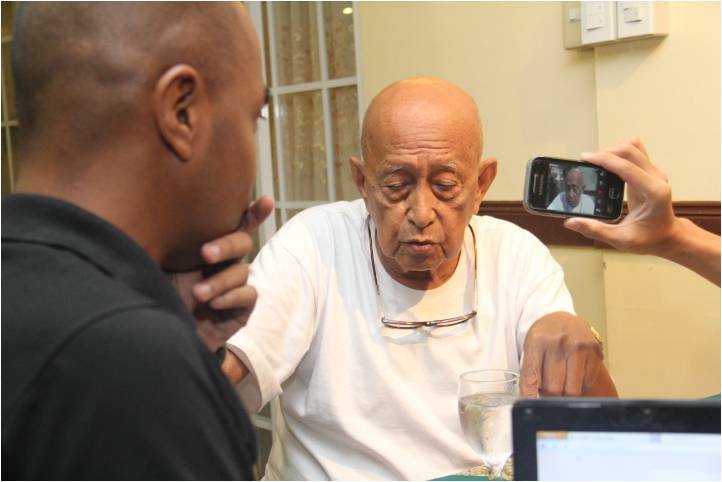 He ran for Vice Mayor in 2010 but lost to the late Eddie P. Domingo. 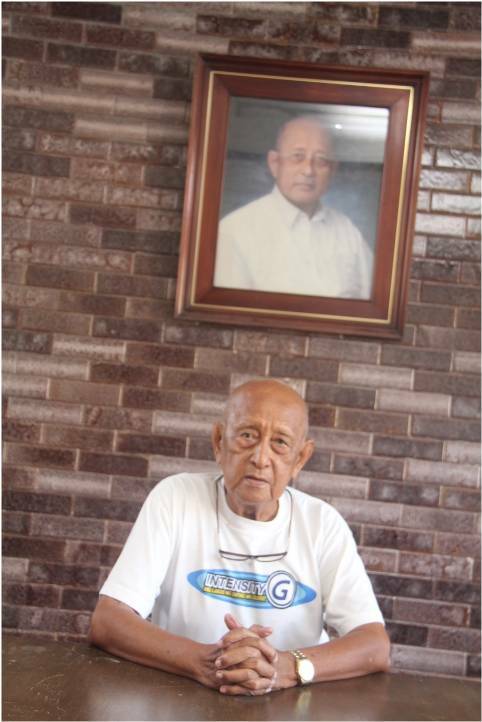 The septuagenarian prefers to look at a glass half full: he obtained around 12,000 votes and won in a few barangays. 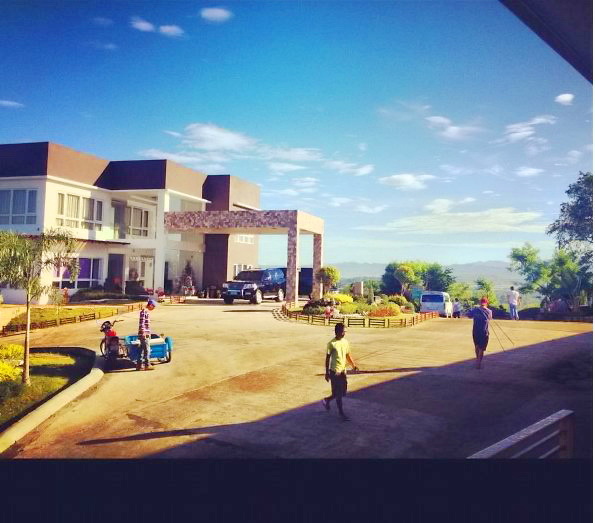 Ventura concedes that only “a miracle” can make him win in this election, but that does not distract him from conceptualizing priority projects such as building a senior citizens’ center complete with swimming pool and gymnastics facilities. When I commented that the bones of senior citizens, including my parents’, might be too brittle to endure gymnastic activity, Ventura laughed. People in the room laughed even harder. It broke my heart, dear karikna, to see my former mayor in such state. That really leaves your city interesting to watch come election. Am sure there will be no charges of cheating as everyone will be watching each other with a hawk’s eye. Best wishes to your Laoag City. May be the best one win. According to the elders, Roger is agindadalus. They call him the greatest grafter and king of corruption. Halos inaldaw kano nga adda baro nga kotse na idi. Of course, it’s an exaggeration, but that’s how bad his corruption could have been. I am just wondering with the overwhelming lack of response on this article. When in fact , you always have blockbusters. Suppression, intimidation , fear or just simply doesn’t care?The silence is deafening. But I doubt for I have known Laoaguenos to be involved and brave. This is the time that Laoagenos need to decide for its future. Herdy, I dont know personally or professionally any of the candidates, just a hearsay maybe which is unfair to them. But the way you presented the candidates, I can’t blame the ” kailian”if they have totally lost interest to vote this coming election. In my opinion, I could have find Mr. Keon the better candidate but his silence makes me think that he is just waiting to win by default from the other contenders’ trilateral KO’d ( not that I have much knowledge of what is happening now in Laoag). 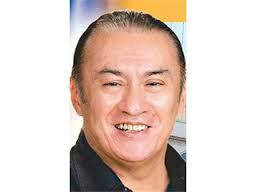 Mr. Keon should at least (told you) discussed his platform, plan for Laoag City, if you will. Not knowing somebody’s plan how to run the city is not re- assuring either.. Laoag needs somebody to raise itself from its present state of predicament.. San Nicolas has been doing a better job, in my opinion.I couldn’t agree more with the voters that voting at this time is a waste of time, but I always do believe that VOTING is everyone’s RIGHT, use it. Vote for the candidate who you think is less evil, if there’s no other choice. But at least use your right of suffrage. The least we want is that the worse evil will lead the city. Just because we did not vote for the less evil one…. It’s still a long shot, but all of us hope that soon we will have TRUE government officials worth being called LEADERS.. That will be the day…. My 2 cents… Continue the good work, young man. Apo, when you have war lords like the Farinas, people are bound to silence, for fear. Who knows what they can do? 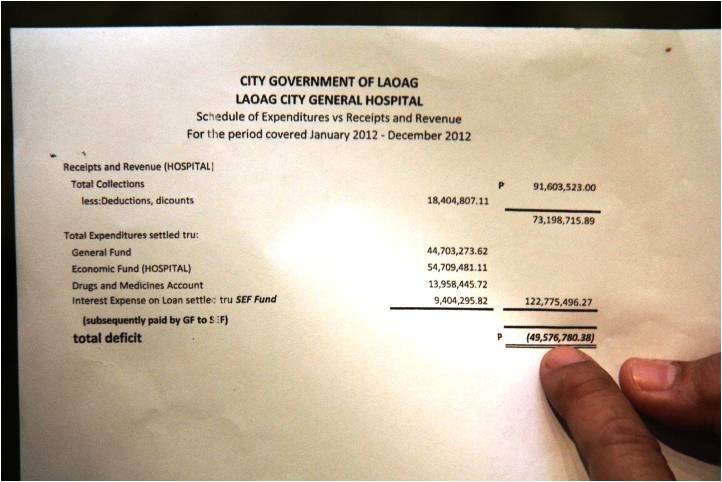 If there is anything the people of Laoag must do, it is not to vote for them. Years of their rule, and there is little progress in Laoag! Keon has filed his capitulation to run for mayor. It’s now the ‘Beauty’ against the “Beast” (pun not intended to demean! ); the Sweet against the Sour or ‘the Gurl’ against “da Boy”. Their backers could also formidably termed as the ‘Sophisticated Lady’ against the “Articulate Guy”. being a ;laoagenia at heart…i feel sad about all these comments, family feuds for power,etc etc, i just hope the voters will make the right decision for the sake of LAOAG….but isnt it that Michael Keon and Carlos farinas already declined their candidacy?